Lakes, streams, and of course the river afford kayakers, canoeists, and recreational boaters an abundance of publicly accessible facilities in all parts of the Schuylkill River Greenways National Heritage Area. 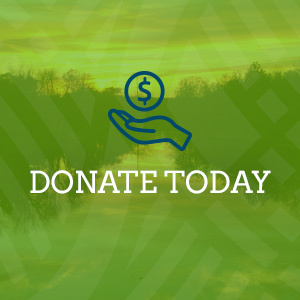 In this section you’ll find information about where you can paddle legally and safely, important safety and access information for river paddlers, water level and quality in the river, resources for further information, and clubs and organizations you can join. We recently published a brand new comprehensive Schuylkill River Water Trail Guide that is a must-have for anyone who is planning to paddle on the river. It includes pull out maps and extensive up-to-date information on landings, rapids, cautions and much more. Click here to learn more or purchase a copy. Please note: Because our online water trail maps are outdated, we have removed them. We are working on creating new online maps. In addition to the Schuylkill River, there are numerous facilities across the Heritage Area that provide access to lakes. French Creek, Tuscarora, and Locust Lake State Parks have lakes of varying sizes for flatwater paddling. Canoes, rowboats, and pedalboats can be rented at these facilities. Blue Marsh Recreation Area is a favorite flat water boating facility in the Western Berks region. For those seeking a little more movement, several of the river’s tributaries are navigable seasonally. Please note that the tributaries can be narrow, fast moving and more challenging than the river itself. These sections are recommended for experienced paddlers only. Many of the tributaries lack public access points. Please do no trespass on private property while putting in or taking out. SRHA advises you to access the river and its tributaries only at marked locations. The Little Schuylkill and the West Branch in Schuylkill County are navigable during the spring. 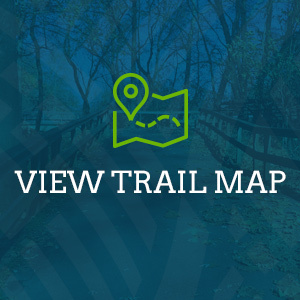 Both feature public access points and are part of the Schuylkill River Water Trail. Tulpehocken Creek below Blue Marsh Dam is navigable with public access areas. Take out locations are under development in the City of Reading. Paddling the Schuylkill River can be a fun way to exercise and enjoy the outdoors. Public access points to the Schuylkill are marked as stops on the Schuylkill River Water Trail. These locations are publicly owned and maintained and meet Pennsylvania Fish and Boat Commission standards. Look for the oval medallion at these launch points. The river can be shallow and rocky at spots, so please be sure to check the water levels in the area you wish to paddle before putting in. Also, please note that there are several dams on the Schuylkill, and paddlers are required by law to portage around these dams. Portages can be lengthy in unimproved locations. To gauge how much time it takes to paddle from one landing to the other, consult the water trail map to calculate the river miles from point A to B. Typically 4 river miles will take a little more than an hour under normal flow conditions. Or, visually gauge the speed of the river. The average person walks at 3 miles per hour. Is the river moving slower or faster than you can walk? Click here for information on our new “A Paddler’s Guide to the Schuylkill River Water Trail,” published December 2016. Always wear a Personal Floatation Device (PFD) approved by the U.S. Coast Guard and make sure it is secured properly. Check the weather and water levels before getting on the water. Carry a whistle and use it if you are in distress. The American Canoe Association provides paddlers with a lot of useful information about safety on the water. Read the ACA’s Top 10 Safety Tips. 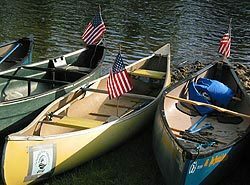 There are a variety of canoes and kayaks available at major outfitters and sports centers. It’s just a matter of finding the one that’s right for you. Consult with the sales staff at these locations about your options. When on the water, proper accessories and clothing are important . Again, outfitters are the best source for your equipment needs, as it varies according to the type of craft you buy.